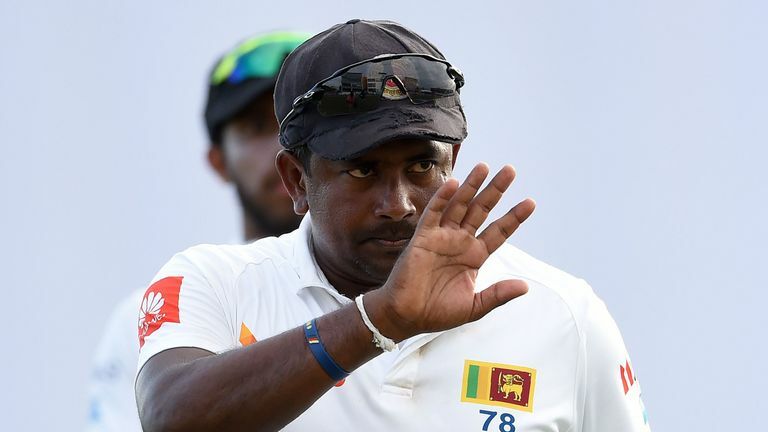 Rangana Herath said it was a "privilege" and "honour" to represent Sri Lanka after retiring as the most prolific left-arm spinner in Test history. The 40-year-old claimed 433 wickets in his 93 Tests, placing him eighth on the all-time list alongside England seamer Stuart Broad. Herath was the last remaining active player to have made his Test debut in the 1990s, the bowler ending his five-day career at the same venue where it started against Australia in 1999, Galle. "It's been a privilege and an honour to play for my country. In Sri Lanka we have 22 million people and very few get the opportunity play for [the country]," said Herath, who confirmed he is looking to carry on playing first-class cricket. "It is a remarkable achievement so [of course I will miss it]. I am so proud - I have got to know people and the game has given me a lot. I have a lot of respect for the game. "It is an emotional situation but everybody has to take a decision at the right time. I need to start another life. "I am thankful for all the years that I have played and those people behind me, especially my team-mates and Sri Lanka cricket. I must thank everyone." Herath claimed 102 Test wickets at Galle alone, making Joe Root his 100th and 101st victims and Jos Buttler his last during Sri Lanka's 211-run defeat to England in the first Test. The spinner is hopeful that his country will rebound in the second and third Tests, in Kandy and Colombo respectively, as they look for the sustained success they experience during the days of Kumar Sangakkara, Mahela Jayawardene and Muttiah Muralitharan. "As always, losing is not a good result for any team but it is part of the game. Hopefully the guys will come back strongly and play the cricket we used to play in the second and third Test," added Herath. "I am 100 per cent confident with the talent we have. If you take the recent past [in Test series wins] against South Africa and Australia we had a winning mind-set. We need to get back to that." Sri Lanka captain Dinesh Chandimal and former batsman Sangakkara praised the retiring Herath as a "great human being" and "absolute legend". "We all know what Rangana has done for the team and Sri Lanka cricket - we wish him a really good future," said Chandimal. "We will have to say sorry to him for not giving him a really good farewell. "He has done so much for the team off the field and if we have a problem we can go to him. He has offered real good advice - he is a tremendous man and a great human being." Sangakkara says Herath is Sri Lanka's finest cricketing role model. "He is amazing, an absolute legend, I always say he is the greatest role model Sri Lanka has produced. Kumar Sangakkara says Herath is the greatest role model cricketing-wise that Sri Lanka has ever produced. "He's never complained, I don't think he even had a warning by an umpire or match referee. Not because he is so goodie-goodie but because he kept everything within himself and trusted his ability 100 per cent. 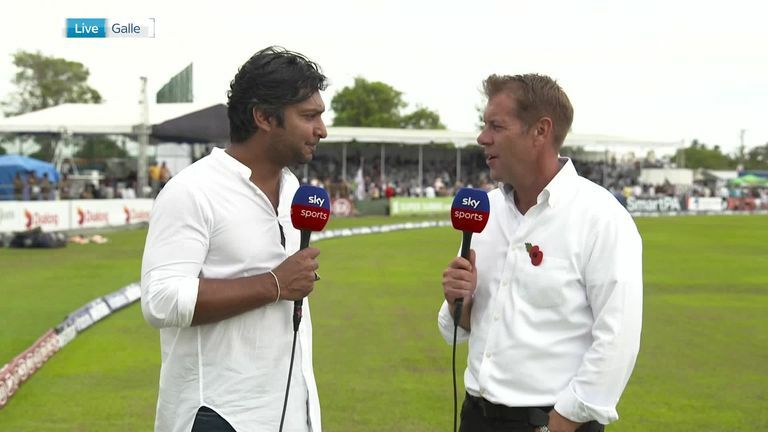 "He has had some unfair things happen to him in his career, he was always in Murali's shadow, but every time he has had an opportunity he has made it count. That's the measure of the man, quiet but an absolute champion." 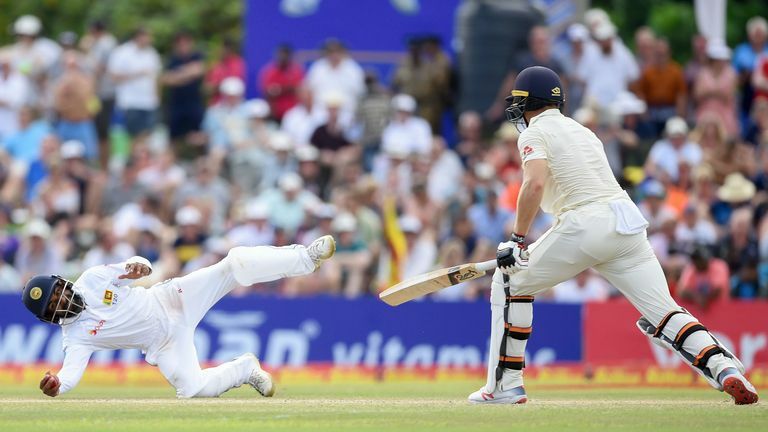 Watch day one of the second Test between England and Sri Lanka, in Kandy, live on Sky Sports Cricket (channe 401) from 4am on Wednesday, October 14.